When did people start thinking governments were benevolent? or interfere with it and mess it up. Those are the two choices. The stock market is both an active phenomena of the economy and a measure of it’s pulse. Though not all business is directly part of the stock market, since not all businesses are organized for the same type of investors, the stock market is large enough and diversified enough to be a good indicator of how the economy is functioning. 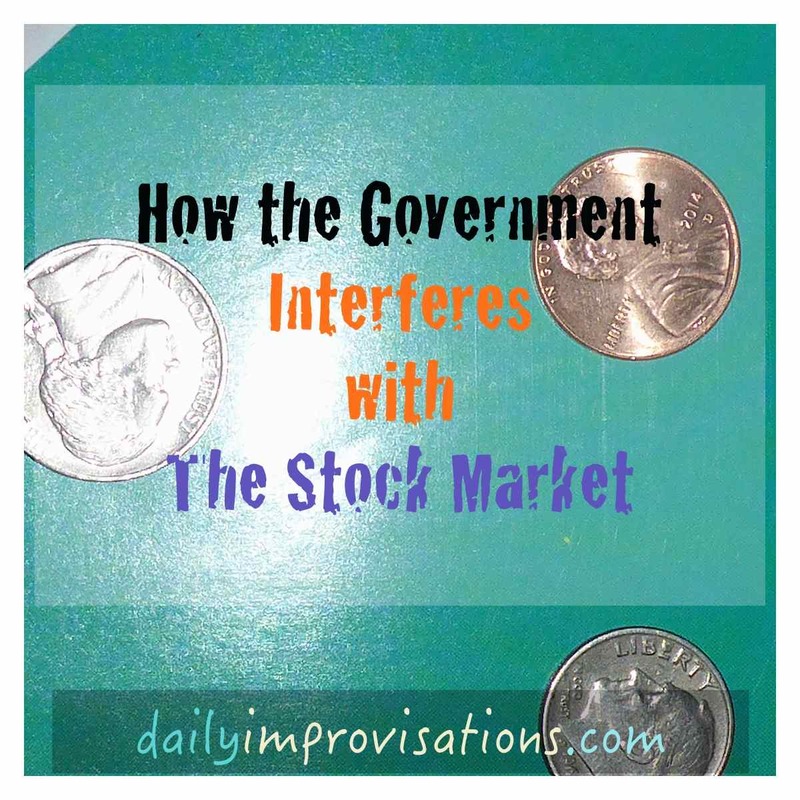 Since all businesses are taxed and regulated by government entities, the stock market reflects how these government interferences affect the economy. What I am trying to get to is that some of what is thought of as “market volatility” is actually market reaction to government interference and it can be very helpful to understand the difference between government factors and free market factors. It is one thing to try to evaluate whether a company’s management is honest and wise. It is a new wrinkle, sometimes a really big wrinkle, to have to evaluate how and when the government will interfere and what affect it will have. Governments have the leisure of being less predictable than companies. Companies have their livelihood at stake. Governments can always, and usually do, just say, “oh, we need to do more if that didn’t help.” Governments don’t have to pay for any of their regulating. They “pay” for it by charging the very people they are regulating and those costs cannot help but be passed on to the cost of product or service. The more the government changes it’s taxes and regulations, the harder it is for the companies to make long-term sound financial decisions about how to proceed with business, so the harder it is for investors to evaluate. With this being a constant threat to businesses (because we all know it is the government’s “job” to make as many new laws as possible), it is no wonder that businesses with the funds to do so engage in the political arena. Sure, some do it to a fault and encourage laws that inhibit competition, but some are just trying to survive. With everything from punitive patent laws to creative new regulations being enforced, it can be tricky to know how much political involvement is kosher. There is sad irony in the whole affair, too, when one realizes that the examples that are commonly used to validate government interference (i.e. the “Great” Depression) should be clear reasons for them not doing so. It is the darkly humorous case of “they did something, so it must have helped”, right? What they “forget” to spread the news about is the times when government staying out of things worked so much better. The hard times make such good stories, that the times when things were going well are left to fade from memory, are assumed to be flukes of good luck, or re-written to the government’s advantage. “Free, public,” government schools have been known to do that quite a bit. 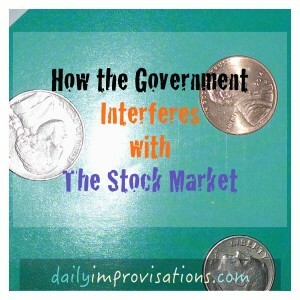 Currently, government interference in the stock market cannot be avoided, so an investor just needs to be aware. The government regulations regarding exactly how a person is allowed to invest complicate the process and increase the cost further. Under the guise of protecting, they limit those with less power and resources in favor of those with political influence. From government monopoly and manipulation of the money supply ( I suggest: What Has Government Done to Our Money?) , to the shenanigans of shadowy agencies that regulate at least the money flow coming into their coffers, do your best to have a foundational understanding of how governments are involved in the daily lives of all business activity. It will go a long way in giving you intuitive understanding of what you are seeing in stock market fluctuations and business decisions.